A debt management program is designed to help you address your problems in overcoming financial troubles caused by carrying too much debt. Working with a credit counselling agency will help you create a personalized strategy to get out of debt, improve your budget and build a better financial future. With the right plan and the right team supporting you, a debt management program can help you regain control over your finances. 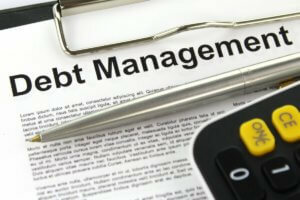 This information can help you better understand how a debt management program works. If you need help or if you have your own financial questions, call Consolidated Credit at 1-888-294-3130. You can also take the first step online with our Free Debt Analysis. First, a trained credit counsellor evaluates your debts, budget and credit to get a complete picture of your financial situation. When you call to start your consultation, the credit counsellor will ask you a series of questions to lead you though the process. If you request an analysis online, you will provide this information through a secure website and a counsellor will contact you once they have reviewed your information. What is your total take-home income each month? How much do you owe in each of your debts? What is the interest rate on each of your credit cards? What are your additional monthly expenses, including rent/mortgage, insurance, utilities, food, gas, etc? Once this information is gathered, a credit counsellor can help you better understand your unique financial situation. They can understand your current budget to determine how much income you use to pay off debt. Additionally, they can check your credit report to determine if you are behind on your credit card payments, and if so, by how much. If you fill out an evaluation online, a trained counsellor will call you to review the information you provided. By the end of your consultation, the counsellor will be able to tell if you qualify for enrollment in a debt management program. You can often include all, if not most of you credit cards. In some cases, other unsecured debts may be consolidated as part of a program, such as unpaid medical bills. Once you decide what you want to include in your debt management strategy, your credit counsellor will look through the numbers and inform you on what your new interest rates will be, as well as exactly how much debt payment you will need to pay each month. Interest rates generally range from 6% to 10% and monthly payments on your debt can be reduced by 30% to 50%. Your credit counsellor will also provide an estimate of how long it will take to complete your program, completely debt-free. Typically, clients get completely free of their unsecured debt within 36 to 60 monthly payments on their debt management plan. Following enrollment, your credit counsellor will help you complete the short amount of paperwork required for the program. They will confirm which debts will be included in your debt management program and send you all the information you need to get started via postal service, email or fax. The entire process for starting the program usually takes about an hour and the paperwork is filled out quickly during your credit counsellor consultation. With a Consolidated Credit DMP, you will also have the option of an autopay account called Direct Debit, making completing your debt management program even easier. This is a process whereby the client gives the credit counsellor permission to go into their account on a specific day and draw out money electronically. Just make sure the money is available in your budget and you won’t even have to think about making the payments on your plan. After you begin the payment process, any credit card accounts that you had as delinquent will typically be moved to a current status within 3 to 5 payments. Your credit counsellor will also negotiate with your creditors to remove penalties and fees from the accounts included in your debt management program. As you proceed in the program, you can still move your life forward, get a mortgage to purchase a new home, and even qualify for a new car loan. With reduced monthly payments, you’ll also have more money left over each month to cover your other expenses and start building a stronger financial future. Additionally, you will be provided with direction and information to show you better budgeting and money management practices so you can avoid falling into debt again in the future.